Menopause, with its myriad of symptoms, isn't really known as a smooth ride. However, sometimes, a hysterectomy can cause surgically induced menopause. Surgical menopause can throw all the symptoms at you at once, and with much more severity than normal, leading to physical and psychological discomfort. Why Is Surgically Induced Menopause More Severe than Normal Menopause? Menopause naturally occurs as your ovaries slow estrogen production over a long period of time. This estrogen deficiency is what is responsible for menopause symptoms. 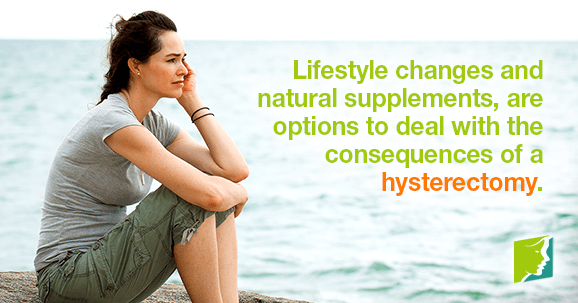 Your body can be thrown off balance or confused when it starts receiving less estrogen than its accustomed too. However, in surgical menopause, instead of a gradual estrogen decline, it's a sudden stop. If your hysterectomy involves the removal of your ovaries, then you suddenly have lost your main estrogen production organ. This can be a huge shock to your body, and cause menopause symptoms to be incredibly severe. It's the difference between slowly easing into a pool of cold water or just cannon balling straight in. One lets you slowly acclimatize to the temperature, while the other just submerges you with no warning. How Can I Be Prepared for More Intense Menopause Symptoms? It's important to talk to your doctor about potential menopause symptoms before your hysterectomy. He or she can help you though this process, telling you what to expect and perhaps pointing you in the right direction to do more research on your own. If you know anyone who has already gone through surgical menopause, it may help to talk to her as well. Another way to prepare is to consider treatments after surgery. Weigh the pros and cons of things like lifestyle changes, natural supplements, homeopathic remedies, and hormone replacement therapy (HRT). Once start, you'll feel much more in control if you already know your options for relief. While you can't prevent intense menopause symptoms after surgery, you can learn about them. If you have enough time, consider adopting a healthy diet and starting an exercise routine. These two changes can help smooth out rough spots in your menopausal transition. If you're symptoms are severe enough that they are wreaking havoc on your life, always talk to your doctor. Click here to learn more about treatments for menopause symptoms.